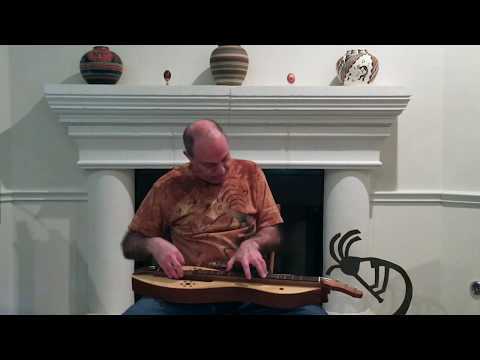 Mark Gilston plays an old time Kentucky / West Virginia fiddle tune with Irish roots on mountain dulcimer. Whew! That woke me up! Good stuff Mark! I love your precision. Dusty: It's not the thumb work which makes this tune so challenging. The right hand is doing some pretty tricky cross-picking, and the ring finger on the left gets a surprising work out. Dusty.............I have listened to Mark for years and it has now become clear that he is a human prototype of some sort. That aside, whatever he posts is just amazing and glorious.............mind boggling skill!!! Sounds great! I'd love to learn this one but I don't think my thumb is up to the challenge.